If your image of manufactured housing is a cluster of teal and white trailers lined up in a mobile home park, you need to get with the times. Sure, mobile homes are still great for placing on vacant land or in trailer parks, but the modern concept of manufactured housing embraces homes that are hard to differentiate from beautiful, site-built houses. Manufactured homes cost 10-to-35 percent less per square foot to build than site-built homes [source: ManufacturedHousing.org]. Of course, an important variable is that costs will vary by builder, and by how far the house has to be transported to the property site. When a home is built onsite, it’s exposed to the elements and weather, which can cause construction delays, not to mention cost overruns and other frustrations. 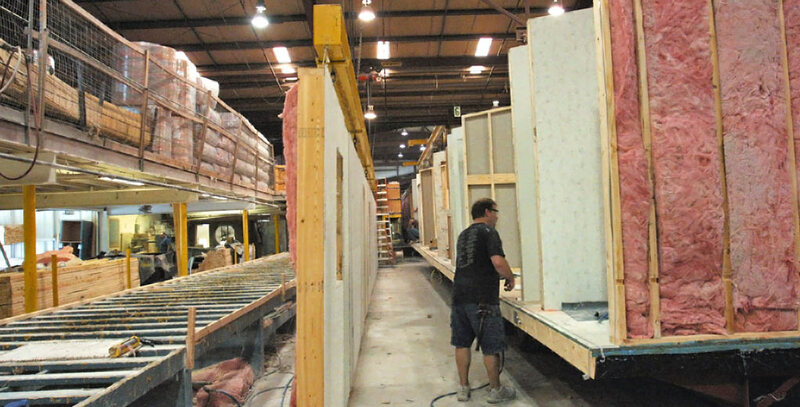 Homes built in factories are produced under strict rules and tight, federal regulations. They are constructed on assembly lines, which leave little room for error or worker inefficiency. It takes about one-third of the time it takes a contractor to construct a site-built home [source: ManufacturedHousing.org]. When the house gets to your property, it is nearly 90 percent complete, which allows you to move into your new home much faster. The homeowner has to make arrangements for the foundation and utilities (electricity and sewage) before the manufactured home arrives. Manufactured homes can be everything from boxy to elaborate. Modular homes, for example, have more than one story. Manufactured homes feature porches, garages, decks and vaulted ceilings. They easily can be customized by adding more rooms at far less cost than an expansion to a brick-and-mortar home. Plus, the kitchens, living rooms and bathrooms can be outfitted with all the modern appliances and amenities found in any other onsite-built home. Today’s manufactured homes are built fully weatherized and energy efficient, and have high-efficiency, power-stingy appliances. This includes heating and cooling systems, water heaters and high-performance windows. Manufactured homes generally come with a one-year warranty for construction and separate warranties for windows, doors, siding, plumbing and appliances. There are even extended warranties available. You can place your manufactured home wherever you wish on your property purchased through LandCentral.com, providing you adhere to local codes and regulations. Manufactured homes provide LandCentral shoppers with greater options and flexibility for realizing their dream of a new or vacation home.